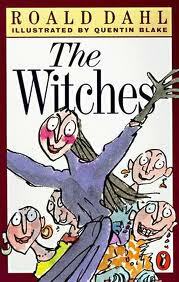 While it may not be a Halloween book, per se, no spooky book list should neglect to include Roald Dahl’s “The Witches” – one of my (and my sons) all time favorites. Not only do we get to meet a cigar-smoking Norwegian grandmother, but we encounter ladies with itchy scalps, quite a few references to dog poo (and really, who could resist that!?!) and several reasons for your children not to bathe regularly. The coupling of Roald Dahl and long-time illustrator Quentin Blake is a marriage made in heaven for any book, but for this one in particular. Don’t miss Lynn Redgrave’s reading of “The Witches” on the audio book, and, if you’re feeling particularly witchy, check out the movie starring Angelica Huston. It’s nowhere near as spectacular as the book (few movies are), but entertaining nonetheless.